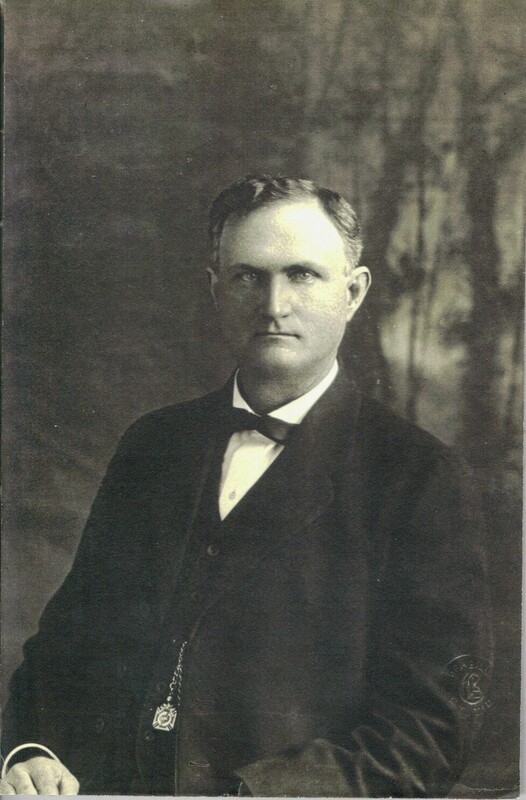 Edward Forrest Ellis was born August 19, 1863 in St. Clair County, Missouri. He was the son of Edward Sylvanus Ellis and Martha Jane Strearns Ellis. The family moved to Northwest Arkansas in 1866. He graduated from Missouri Medical College (1899 merged with the Medical Department of Washington University in St. Louis) in St. Louis in 1885 and practiced medicine until the time of his death in 1957, a span of 72 years. His first location was in Hindsville, Arkansas where he practiced for 10 years. Later he moved to Springdale for another 9 years and then to Fayetteville for the remaining 53 years. Dr. Ellis continued his education through the Chicago Polyclinic and its Post Graduate School of Medicine, the Philadelphia Polyclinic and Post Graduate School and through lecture courses and clinics at the Mayo Brothers Clinic in Rochester, Minnesota. In addition, he read extensively from current medical literature. Dr. Ellis was active in the medical organizations and state commissions. He was President of the Arkansas Medical Society, was delegate to the American Medical Association, Chairman of the Executive Committee for Arkansas American College of Surgeons, served 8 years on the Arkansas Board of Health. In 1916Doctor Ellis was made a Fellow of the American College of Surgeons and was a founder of the International College of Surgeons, and was president of the Frisco Medical association. In 1934. He donated his medical library of more than 1,100 books to the University of Arkansas Medical School. The Washington County Historical Society awarded him the “Distinguished Citizen Citation”. Other awards were also given for his long service in his many interests. Dr Ellis was interested in civic affairs, served on the Fayetteville School helped establish First National Bank in Fayetteville and held its presidency for many years. He was an active member of the Christian Church, was a 32-degree Mason and Shriner. In July of 1912 Fayetteville City Hospital opened and he was on the staff until his death 45 years later. He was Chief of Staff for a number of years.